Direct mail marketing provides the benefits we as marketers all dream of. Direct mail has a response rate of 4.4 percent, compared to an email response rate of 0.12 percent. And, when you send paper, this marketing strategy gives you the ability to surprise and delight your customers, getting you more customers and building relationships that last. Once you decide to execute direct mail marketing, there’s one important step to consider: How are you going to get all of those parcels from your hands into the hands of your customers? Unless you’re going to personally drop off every envelope (which is far from efficient, to say the least! ), you’re going to have to mail your items. And, often, this means a trip to your local Post Office. If you’re looking for specific details, click on any of the sections above. Otherwise, let’s start at the beginning and dig into the postal details of direct mail marketing. When you think of the post office, “great customer service” may not be the first thing that comes to mind. Please note, I am by no way generalizing here! I’ve interacted with some wonderful Post Office workers, especially in my hometown. However, I have also had unpleasant experiences at the Post Office. When signing up for a P.O. Box, I was told I needed to go home and get my business cards to show them, even though the USPS website clearly states P.O. Box requirements, and business cards are most definitely not one of them. I know I’m not alone in having faced situations like this. When you want to send an item to your customers, the only other options for mail are FedEx and UPS, who tend to be more costly. The lack of competitors leads to those postal frustrations, be it long lines, extensive paperwork, or interactions with employees who fall just a tiny bit short on customer service skills. So, why use USPS direct mail services? Well, as explained by Regina Carlos, my field marketing co-worker who has sent plenty of shipments, FedEx is not the way to go for direct mail. Compiling addresses and labeling all of those boxes is enough of a headache. At the very least, you want to pay for all of those parcels at once, right? Sadly, if you want to send them using your business’ FedEx account, that’s not how it works. In our experience here at G2 Crowd, making a shipping label for every recipient means you need to fill out your FedEx form not just once, but Every. Single. Time. If you’ve never done it yourself, I’m here to tell you: Filling out the FedEx online shipping form is not a fast process. I dread every time I have to send just one box. How’d you like to enter your item’s weight and dimensions a few hundred times? Plus, let’s not forget that USPS is substantially cheaper than it’s counterparts of both FedEx and UPS. If you’re going to skip working with those pricey competitors, you’re left with the following options. Standard Post Office procedures: Use the Post Office the same way you would if you’re sending an item to your Mom or Aunt who lives in Colorado. USPS Marketing Mail: A targeted approach for businesses who have a list of recipients. Every Door Direct Mail: A blanket approach for sending postcards to selected zip codes. Skip the USPS process entirely: Work with a direct mail service provider who will help you through the technicalities. I’m going to take a leap of faith and trust that you know how to send a package. You can do it in person, or take advantage of the postal service’s online interface that lets you print shipping labels at home. First-Class Mail: This is the standard mail you send with an envelope and a stamp. Many non-profits get volunteers to come in and stuff, seal, and stamp envelopes to send their database. USPS Retail Ground: Ground shipping is not available online; you have to go to the Post Office in person for this rate. This is useful for packages too big for Priority Mail, but it is a longer shipping period of 2 to 8 business days. Priority Mail: Priority Mail shipping time ranges from 1 to 3 days from shipment to delivery. Prices start at $6.70, and flat-rate options are available. Media Mail: Media Mail is more cost-effective with prices starting at $2.55 per item. It is designed to send media materials such as books, video and sound materials, and (as the Post Office puts it) “computer readable media.” Shipping time is 2 to 8 business days; video games are not eligible for this pricing. You can read more details about each shipping option here on the USPS website. If you don’t want to go through the process of manually addressing and shipping your mail, USPS has two options that will speed up the process. The first is USPS Marketing Mail (a more targeted approach), and the second is Every Door Direct Mail (a blanket approach). Here’s your quick guide on how to execute both types of direct mail marketing campaigns, and the pros and cons to consider. USPS commercial mail is designed for bulk mailings. This applies if you’ve bought a mailing list, as well as when you have a list of individuals (and their address!) you’re sending to. When commercial mail is used for the purposes of advertising, it is called USPS Marketing Mail. Commercial rates mean you get a lower mailing price per item. Woo-hoo! To qualify for these rates, you must meet the requirement for the minimum number of pieces being sent, ranging from 50-to-400 items. While you will still need to ensure you have a mailing label on every parcel (sticky labels are highly recommended over paper and packaging tape!) a quick peek at the USPS Marketing Mail forms shows you won’t need to repeat the technical details FedEx requires. Why isn’t commercial mail for everyone? While you do get a price break, and you don’t have to fill out a detailed form for each parcel (like FedEx!) there are still costs and a whole lot of fine print to consider. Let’s start by looking at the costs. 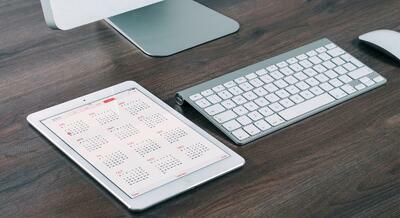 In the majority of cases, businesses are required to pay an annual fee. The annual fee is made up of permits, and you may need more than one of them. Understanding which permits apply to you gets very technical very fast. Now it’s time to look at the process of executing a commercial mailing. The instructions for your accuracy check involve plenty of postal jargon including “presorted” and “carrier route.” You’ll also need to go through a four-step mail sorting process which requires explicit materials and a postal statement. To ensure you’ve met all commercial mailing requirements, your best bet is to print off the Postal Service’s Business Mail 101 checklist. In case you couldn’t tell, this commercial mailing process takes time to understand! Once you’ve found your way around all that red tape, you’ll be able to navigate the Postal Service maze with ease. Plus, if you’re mailing enough bulk items, the price break will still save you money in the long run, making commercial mail worth it – once you’ve figured out those tricky permits and other Postal Service requirements. 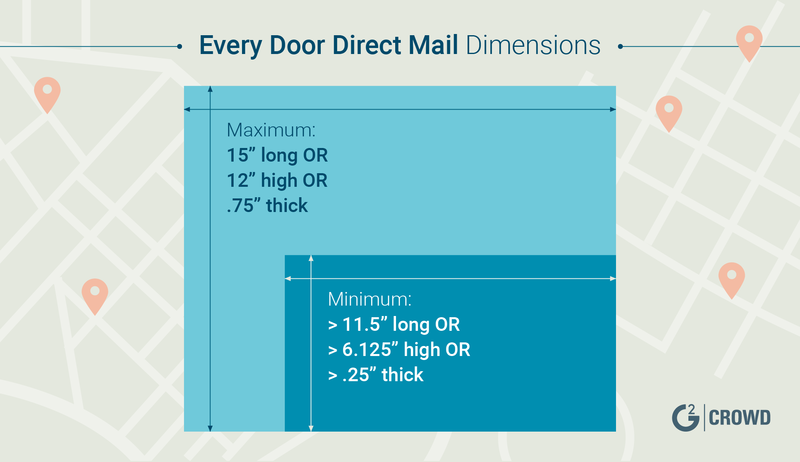 Now that we’ve looked at the USPS Marketing Mail, let’s take a look at another option the Post Office offers to businesses small and large: Every Door Direct Mail. Every Door Direct Mail (EDDM) is like the cold-calling version of direct mail. EDDM Retail: This is how lightweight items such as postcards are usually sent, as this type of USPS direct mail can not be more than 3.3 ounces. The best part EDDM Retail? There’s no permit required! Is that sigh of relief I just heard? If not, it should be! EDDM BMEU: Larger mail items, which range from 3.4 - 15.9994 ounces (under one pound), are sent with EDDM Business Mail Entry Unit. You are also required you to have your own mail permit number. For more information, this article from Shweiki Media can help you understand the difference between the EDDM Retail and BMEU. EDDM is a bulk mailing option through which customers choose the postal route they want their mail piece sent to; that mail piece will then be sent to every home or business on the route. EDDM may not be ideal for B2B marketing; you can choose a mail route with consumers and businesses, but you cannot choose a route with only businesses. You can target mail recipients by age, income, or household size, but nothing further. On average, mailing time from drop-off to delivery at consumer’s households is seven to 14 days. EDDM is designed for flat pieces of mail; think postcards, fliers, menus, brochures, or newsletters. You can send up to 5,000 mail pieces per post office per day. Postcards are one of the post popular types of mail for EDDM. In a nutshell, you print your postcards, select a mail route and drop your postcards off at the Post Office. Then, USPS will deliver your postcards to every door on that route. (See, the name makes sense!) The same applies for other flat mailpieces, such as a menu or flyer. Plus, it is cost effective. 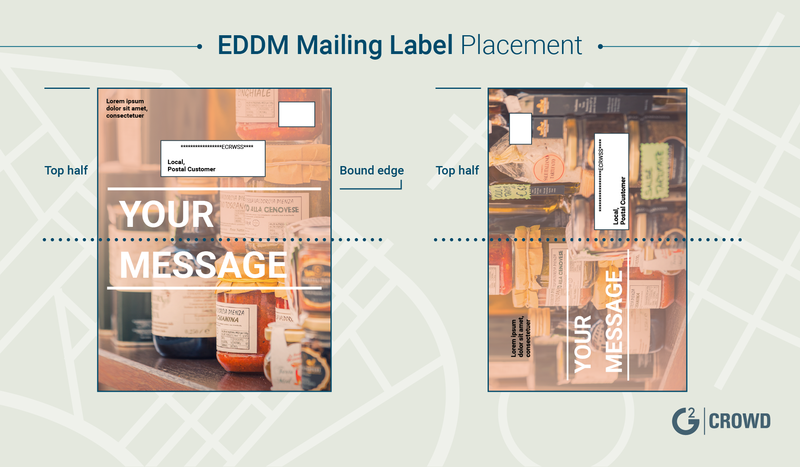 As of October 2018, the EDDM Retail cost for mailpiece flats is $0.178 per piece. This is why many local businesses, such as gyms, local retail stores, auto shops, salons, pet shops, restaurants, and real estate agents use direct EDDM. It is an ideal strategy for promotions, events, and product launches without the time and money of a traditional direct mail campaign. Let’s break down the steps involved in executing an EDDM postcard campaign. If you don’t have one, set up a USPS account. Use the EDDM mapping tool to select mail routes. If you have a database or other CRM software, check the address of your customers and prospects. Compare that with the mail carrier routes to maximize potential mail response rates. Bundle your mail into stacks of 50-100, ensuring they are under six inches tall. Fill out USPS processing forms. Pay your EDDM postage fees in-person or online. Drop your mailpieces off at the Post Office™. Instead of executing each of those steps by yourself, you can also work with a third party direct mail specialist. The Postal Service shares affiliate specialists on their website and provides a tool to search for a vendor near you. In addition, there are plenty of online printers not listed on the USPS site who also provide these services. To understand how EDDM works with the assistance of a direct mail specialist, take a look at this video from UPrinting’s YouTube channel. Working with a direct mail service provider such as UPrinting simplifies the design process and ensures your postcards comply with USPS regulations. It also saves you the time of sorting your postcards into neat six inch stacks. Aside from not needing a mail permit (yay!) EDDM takes out other complications. You don’t need to check the accuracy of addresses or acquire specific mailing materials. Every Door Direct Mail is perfect to target a specific audience based on location. This makes it a great option for local businesses. Businesses such as gyms, pet shops, boutiques, and restaurants exist to serve local customers. Sending postcards to a mailing route within walking distance is an excellent way to ensure you reach your target market. However, you are not able to target your recipients based on other demographics, such as age or income. Not only that, you must send your campaign to every single person on the route. This is why EDDM is considered the blanket approach. If you are a real estate agent, and your prospects surround a college campus, all of those students living in dorm rooms will also get your mailpiece. There are also limitations. Remember, when sending EDDM Retail, your mail cannot be over 3.3 ounces. This means you won’t be sending any swag like t-shirts, pens, or phone chargers through EDDM! Let’s take a look at a few other requirements for this type of direct mail. 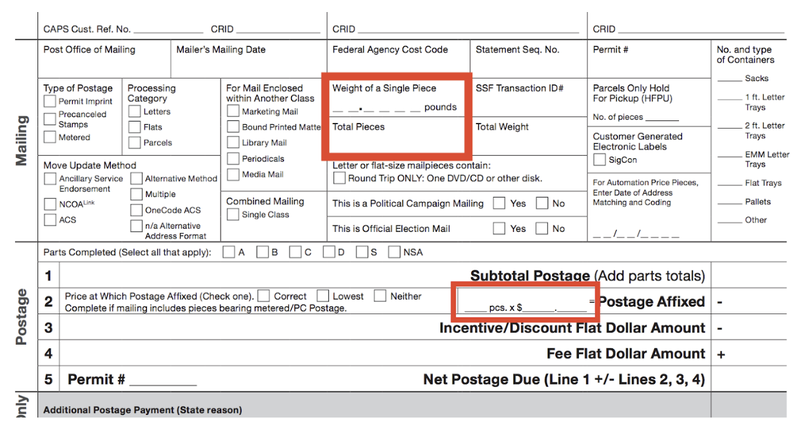 EDDM requires specific sizes as predetermined by the post office. You must meet the dimensions between the minimum width and height, and make sure that your parcel is not too thick. Keeping it thin ensures your mailpiece is a “flat,” which is a requirement for EDDM. Here you can see the dimensions of those charts in a visual template; this will give you a good idea of the rectangle sizes available to you through EDDM. As you can see, some of them are much bigger than your standard postcard size! 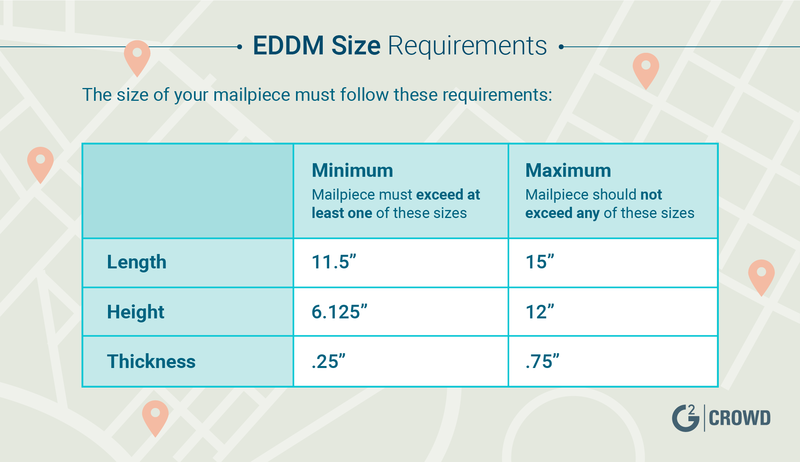 The USPS website has additional information regarding EDDM sizes, such as what the implications are for folded materials. Some people are design savvy and ready to create their own EDDM mailpiece with those dimensions. If you’re not one of those, or you’re looking for a way to speed up the process, here are some free EDDM templates for you to download and customize. From Printing Center USA: Templates available in six sizes, free to download in formats suitable for Adobe InDesign, Illustrator, or Photoshop. 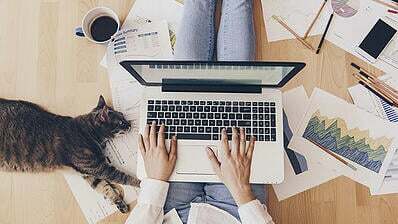 In addition to templates designed for use in the Adobe Creative Suite, many direct mail websites provide templates you can customize without the need for graphic design software. For example, EveryDoorDirectMail.com provides thousands of templates that can be customized through their online interface, then ordered directly through the company. Once you’ve got an impactful design with the correct EDDM dimensions, make sure you follow all USPS requirements for your mailing label too. Let’s look at a few items to consider, then I’ll share some additional EDDM resources. When sending mail through EDDM, you can’t just handwrite your address labels and stick them on the mailpieces. You also can’t do a mail-merge from a Microsoft Excel spreadsheet. In addition to size requirements, mailing labels must be on the top half of the mailpiece. The orientation of the mailpiece doesn’t matter, but USPS will always consider the short end the top. To put it simply, an indicia is what you’ll use instead of a stamp. Think of it this way: the EDDM indicia is how the USPS knows that your mail has indeed been paid for. Here you can see what an EDDM indicia looks like; you’ll probably recognize it from plenty of the mail you receive at your own house. Notice how both of these indicias have the letters “ECRWSS”. This is because EDDM has its own designated indicia. The indicia on the left is an example of “Every Door Direct Mail – Retail® ,” and the indicia on the right applies to “Business Mail Entry Unit”, or BMEU™. If it seems a little confusing, your best bet is working with an EDDM service partner, or going to talk to an employee at the post office in person. In case you couldn’t tell, working with the Post Office to execute your direct mail advertising has a learning curve. Here, two business experts share their top tips when sending direct mail through USPS. "I own a creative agency called Owl5 Creative and also a print shop called Print Donkey. We do lots of direct mail campaigns and help with startups and small business owners. We do the design and we do the printing, making sure the pieces are handled with as little effort as possible on our client’s end. Here are some tips on working with the post office and specifically with a mail house (who would be responsible for processing your list, imprinting the Postage PAID Seal, etc.). " "Make sure you get a Consolidated Postal Statement from the post office. This confirms the amount of pieces they received and then you can verify it is the same amount that the mail house (or printer) is charging you for processing. It plays as a checks and balance between the mail-house/printer and the post office." "It helps to have your mail list presorted and bundled to maximize your postage savings. This would be done at the print house or the mail house. The less work the post office has to do, the less in postage they will charge per piece." "Our company, the Kyle David Group, has recently started utilizing direct mail with great success. 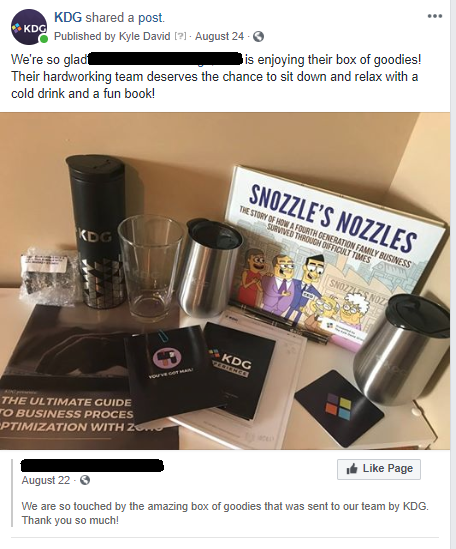 Everyone loves to receive gifts or surprises in the mail, so we always like to include company swag in our mail campaigns when we can." "One tip we have for businesses is to use Priority Mail when shipping packages. The boxes are free and delivery only takes a day or two." "Putting together the bulkier items is a team effort. Everyone chips in when they have time and a checklist and directions help new people lend a hand." Now that you’ve got some expert tips to help you execute your direct mail marketing campaign, it’s worth taking a moment to consider the pros and cons of direct mail marketing service providers. If all of this seems overwhelming, there are direct mail marketing service providers you can work with. 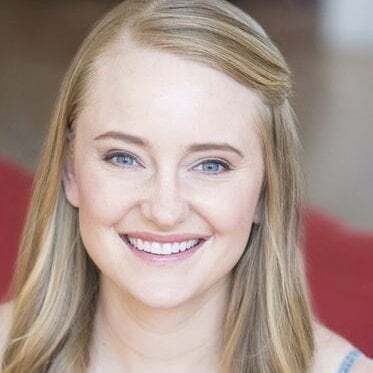 These companies have warehouses with staff who will assemble and pack your parcels for you, give you inventory alerts, provide handwritten notes to recipients, and enable you to track direct mail campaigns with your CRM software. 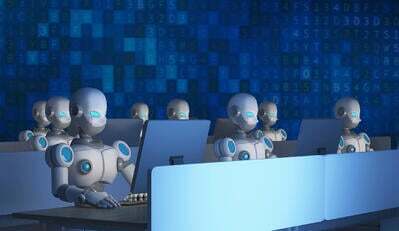 In most cases, you will also be assigned an employee with the customer service skills needed to promptly answer your questions and provide any other support you need. However, working with these companies will add costs to your campaign, and they often require a contractual commitment for a longer time period; chances are you’ll be paying them a monthly fee for a year. While the benefits may be worth it, make sure direct mail marketing is a strategy you want to execute long term before signing a contract. If you want to work with a company who provides EDDM assistance, you won't need to sign a long-term contract. A simple Google search will bring up plenty of providers. Alternatively the USPS website gives a list of online direct mail experts or the ability to find an EDDM printer in your local area by entering your zip code. Getting started with postal procedures takes time. When planning the timeline for your first direct mail marketing campaign, I can’t recommend enough the need to give yourself some cushion! Despite some processes with direct mail being tedious (including the stamping and stuffing of those envelopes! ), those who run direct mail campaigns see results. Consider EDDM if you are a small business with a B2C focus. If you are a larger company, it’s worth checking out some direct mail service providers who can assist you with the process. Don’t hesitate to start small and seek the advice of experts who are familiar with both printing and USPS processes. If you can’t afford to work with a USPS partner or a direct mail agency, and you can’t find the answers you need online, don’t hesitate to go to the post office in person. And, while it may seem old-school, take a notebook so you can write down and reference anything the employees tell you. Trust me; it’s worth getting it right the first time! Then you can also write down the date, time, and the employee’s name if there are further questions on your next visit. It may take some trial and error, but USPS provides many options to suit your business’ direct mail needs.